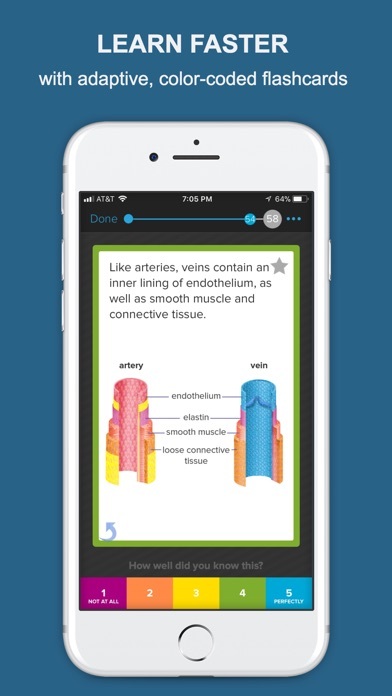 Great for studying but the app does not have some of the beloved features that the website has, and I do not understand why. I cannot edit the cards I have made within the app, but somehow can make new ones. 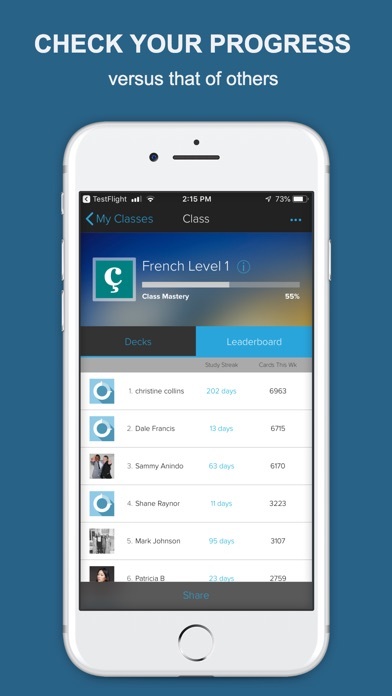 I cannot select decks within a class to study together. 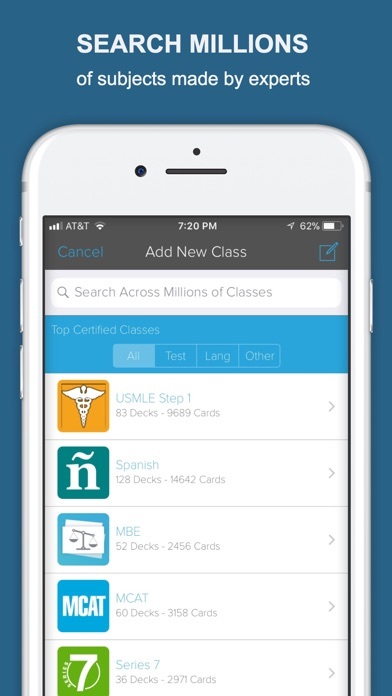 It only allows either one deck at a time or the ENTIRE class to be studies. The website allows certain decks to be selected. I would like to be able to zoom in on the pictures posted within flash cards. The reason that I use the iPad app is that the website does not automatically resize photos to match a screen size, but the app does. This makes large images on the website either look distorted/grainy or cuts off half the picture when you select full image size. The iPad app does not do this. Second, lately the website has been crashing, and I’m afraid that Brainscape will shut down or something without notice, and that I’ll lose my study material. This is the best!!!!!! !got 7 A+ in less than 3 weeks because of this. I’ve been using Brainscape for over a year to learn Spanish. Their prearranged cards are good, though slanted towards Mexican vocabulary. My gripe with Brainscape is that there is no app available for the Apple Watch. This shouldn’t be that complicated to create a simple version with Flashcards for a watch. I have switched over from Quizlet because I hate having to add * to stuff that I want bolded. Editing is WAY easier with Brainscape, like adding italics or underling. However, the study mode on the website itself drives me crazy! It forces you to rate your confidence and then you can’t go back to a previous card if you accidentally moved forward. Please add BROWSE mode to the website!! I love the BROWSE mode on my phone and IPad and the interface in browse is BEAUTIFUL which makes me want to study. I like looking at the card list and the tags I added which tell me exactly where I am. Rating your confidence is great when you have the time but sometimes I only have time to get quickly once through a deck.. and it would be nice if there was some indicator of your position in study mode (I like to know how many cards I have left), other than percentage. Oh yeah, maybe a highlighting feature would be nice too! It’s almost perfect 👌! It was late one day at McDonald's, I was twelve years old and homeless. I had just learnt about the study of psychology and wanted to begin learning about it because I resonated a lot with what I had seen thus far. That is, I felt an inclination towards the study immediately. Due to an impulse to know about this topic, and not knowing where to start, I needed to learn the absolute basics. 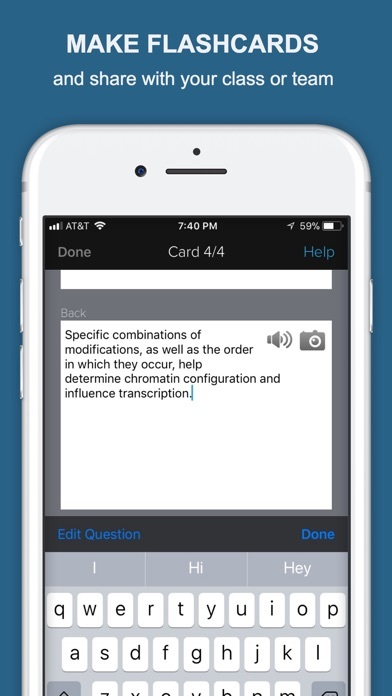 I don't remember exactly how I stumbled upon this app but I did, knowing flashcards would be the best way to go. I downloaded it on my 4g iPod Touch and started flipping through the basic flashcard terms - Sigmund Freud, sublimation, subconscious. My life certainly changed at that moment - it was like looking into the eyes of someone you know to be your true love, which in my case, is the process of learning. I didn't know I was adept at anything, I hadn't been in school since 5th grade. However, due to the easy accessibility of the information, I delved into the learning process. 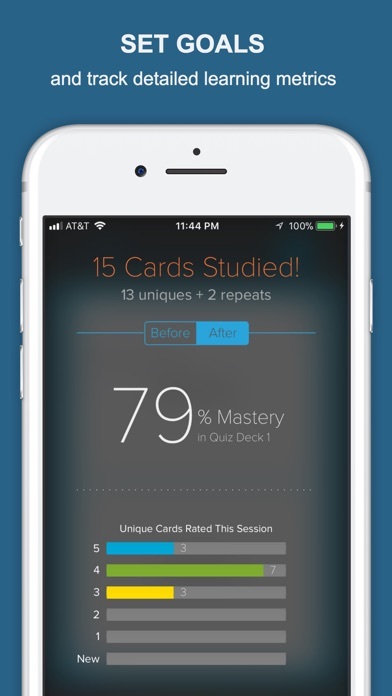 I started studying the flashcards using the app everyday, and I read books at Barnes and Noble when I could. Flash forward two difficult years later, and I'm studying textbooks and research articles, in fact, even creating my own theses. My mom finally found an apartment for us the previous year, 2013. I get offered to go to a local college in 2014, in which I became the VP of their SGA. I also began to attend a virtual high school the next year, where I progressed from pre-algebra to calculus from 10th-12th grade. Since then, I've bought many textbooks, read hundreds of research articles, learnt the violin, started sketching again, made various friends, lost 100 lbs, and got a job. I'm still in the same apartment mentioned earlier as well, I'm thankful for it every single day. I'm 18, I have 30 college credits, and I've been accepted into Florida State University as a physics major. Coming from nothing, it means everything to me. I'm not saying Brainscape caused all of this, or without it I'd be nobody - but I'll never forget the amazing glimpse into my new world that began with the first time I opened this app. Developers, thank you for the amazing life-changing moment, who knows if it would have been the same without you. I like this because it makes it soooo much easier to study for tests at school. I don’t like studying but this isn’t hard. I also like how they have you rate how well you think you know a card. I definitely will be using for a long time! *edit 2* App is great but lowering this a star because of price. I am wealthy so the cost is no problem to me. I have literally recommended this highly to maybe 20+ people either in school or studying languages. 1 person tried it. 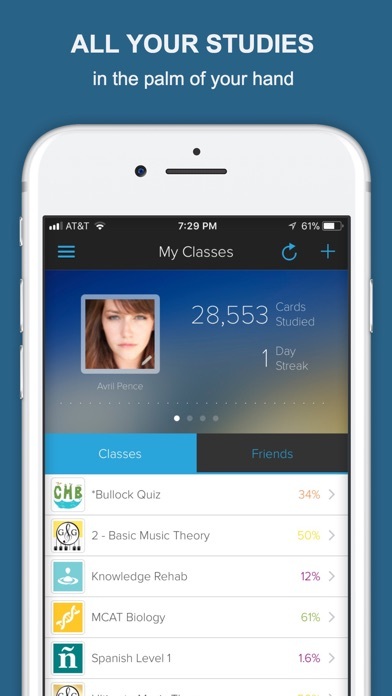 The rest just look and think a flash card app is too expensive. $10 for a high school kid or a college kid who primarily will use this is a lot. I paid for the $79 to own without thinking about it. The one person I did talk into buying this is also wealthy with kids so bought a few licenses. He also jokingly mentioned that he had trouble getting people to buy this. I’m in sales so I understand there are some smart guys behind this that want to make money. The problem is they probably could have had 10x more money if they had offered this at a price that is tailored to the crowd using this. Personally feel the price is worth it but trying to get kids to see this is a losing battle. For now this is tailored to rich kids going to MIT or Harvard or wealthy business people like me who need this or who have kids. I travel internationally and meet literally hundreds of people who could benefit from this. Sadly the millions of people who would pay $1 or $2 for this cannot benefit. Imagine a world where every teacher is recommending thus to kids for specific classes. My best friend is a teacher in nyc public schools and laughed at that idea with the current cost I do not leave many reviews but I thought this deserved one. I am using Brainscape to learn Spanish l. I also downloaded and paid for 4 other apps including babbel, fluentU, Duolingo etc. I used Brainscape for 2 days and then switched over and used babbel a few days as well as the others. I found that the speed of my learning/ memorization ability was 10x that of something like babbel. Babbel is so so slow with all the games and repeating and filling in blanks. After 2 days and maybe 8 hours I had barely learned anything. FluentU was great for building a spanish ear but it is also hard to learn new content watching children’s shows. After playing with all of the various learn Spanish apps for 2 weeks and at least 5 hours a day I quickly discovered that Brainscape vs babbel learning can be compared to driving a fararri vs a ford pickup truck. 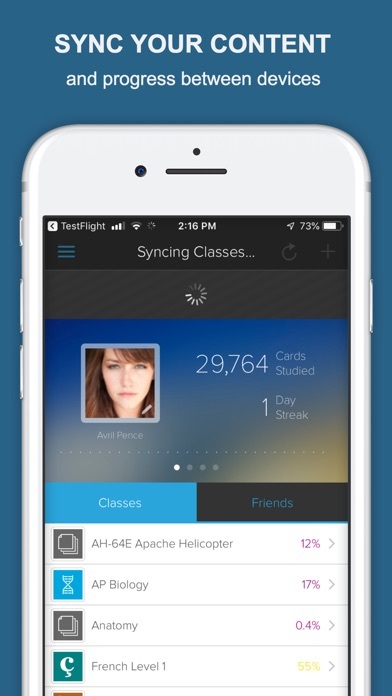 Brainscape is easy, fast and efficient. I wish it had a few things such as the ability to swipe back to a previous card or better cut/paste ability if I want to look up or save words but I can’t really complain much. I kept fluentU for a while as it is valuable to train your Spanish ear. *Edit* One addition to my comments with the Spanish cards is an annoyance that I think slows my learning process in Brainscape. They sometimes shove 2,3,or 4 ways of saying things into one card. Sometimes some of these could be moved off into separate cards. Some make sense to have together. It really slows down my learning process because I have to keep coming back to a card much much longer to remember there are 3 ways to say something. It would help if they said in the card there are 3 ways of saying X. I’ve had to skip a few cards out of frustration because it was slowing me way down or I’m just angry because there are too many concepts on a card. I think after 100 hours studying, this probably waisted many hours. if you make anniphone app, it should take 30 seconds max to hightlight, copy and paste text from any browser ito a flashcard. like every other fc app out there, this dev is clueless. making a new app no simpler or faster than every competitor out there is a waste of user’s time. you have to go back and forth instead of just forward. ux design is supposed ti solve probkems, not copy competitor’s dumb mistakes.